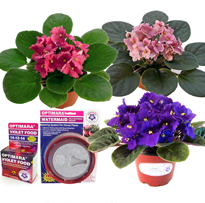 This kit contains everything one needs to grow and keep beautiful African Violets. 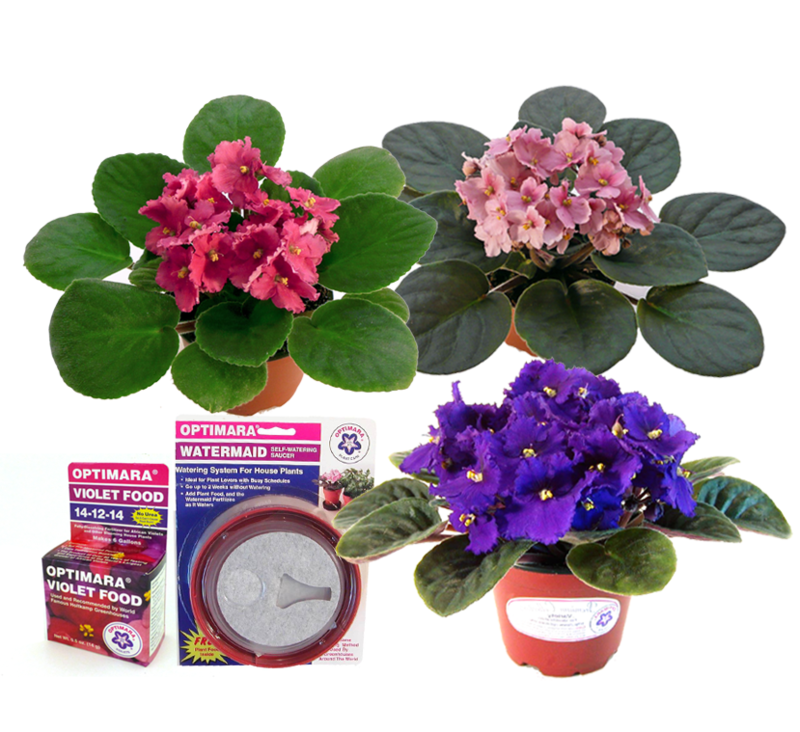 This set consists of 3 genuine and correctly labeled 4 inch Optimara African Violets in bloom, individually selected from over 100 varieties of the world-famous Optimara production greenhouses located in Nashville, Tennessee. You will receive at least one bi-color variety. 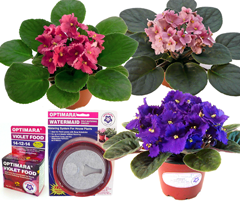 You also receive 3 "Watermaid" Self-watering trays for easy watering and a box of the award winning Optimara Violet Food 14-12-14 to make your violets re-bloom! Beautiful plants in full bloom arrived on time. Love the water trays too. I am very pleased and will order again. I received this set of violets, with violet food, and self watering trays for Christmas. I could not be more thrilled with this set! 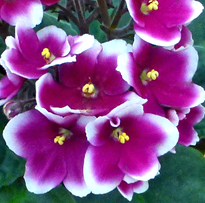 They are beautiful, blooming, large plants with all the extras needed to keep them healthy and growing. 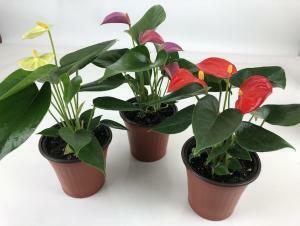 They were well packaged with absolutely no damage to the plants are leaves. Dot hesitate to order! Highly recommended! 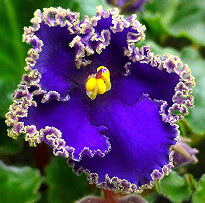 I purchased the 4 IN Optimara KIT - Pack of 3 African violets. They arrived today and are very healthy, in full bloom. They were very well packed! Exceeded expectations! My plants arrived today- in great condition!